Are you thinking about doing a lot of traveling this summer? With spring in full force, now is the time to start planning! If you have a Smartphone, there are some seriously awesome features you need to take advantage of. There are apps available for almost anything! From transferring money to playing games and from grocery shopping to finding your perfect mate, it’s all at your fingertips. It’s also pretty affordable. 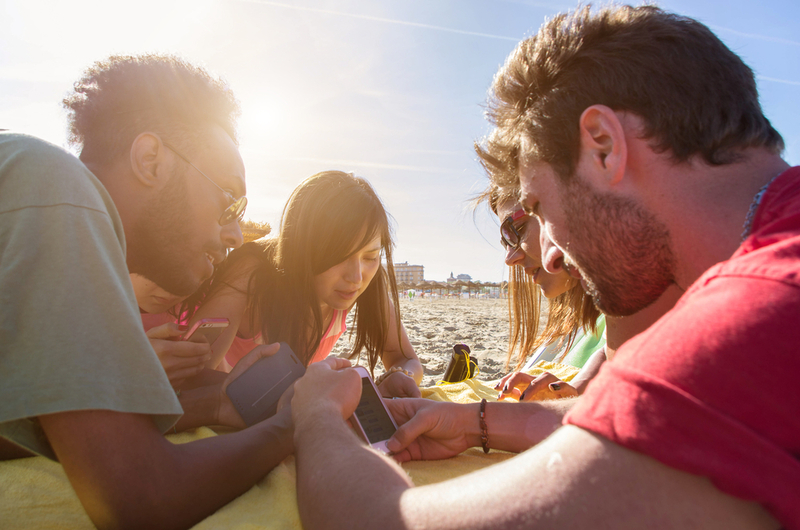 So while you’re making travel plans and getting ready for road trips, vacations and spending time outdoors, you won’t want to miss these 6 apps that will help you make the most out of your summer! Do your organizational skills need a little attention? Are you looking for guidance to get you through packing for a long week away? Sometimes just getting everything together for a vacation can be so overwhelming. If you tend to struggle with this, PackPoint is definitely the app for you. Enter where you’re going, how long you’re going, when you’re going, and what you’ll be doing there. It will generate a full list based on your plans. The beauty of having the list at your fingertips is that you then edit it or refer back to it at any time, unlike a list written on a piece scrap paper that could get lost. A favorite amongst many when it comes to finding accommodations across the globe, Airbnb allows users to search for the perfect place to stay while they’re away from home. Whether it’s a tree house in Thailand or a cottage in England, with this app you’ll find exactly what you’re looking for. Find a place to stay for the night, a week, or a month at a time in almost 200 countries. If you’re traveling abroad and don’t know the language, Google Translate is a great tool to have in your back pocket – literally. Not only can you type and dictate sentences for the app to translate, but a new visual translation feature has just been added as well. Hold your camera over a sign with text and watch as it translates the words for you. If you’re looking for an awesome deal, SkyScanner is a great place to check for flights. You won’t be limited to just the major airlines, so there is a wide array of flight options. You can even book flights straight from the app. This app is the ultimate organizer for travelers all over the world. WorldMate allows you to make reservations, check in for a flight, stay current on flight details, and even share your flight info with family and friends. This your everyday map – except better. PocketEarth has an offline GPS tracking system, so you really never have to worry about getting lost again. If you plan to be out of touch or overseas, this app can work wonders for you. Download the cities or regions you want to navigate, and you’ll be able to see them at any time. You’ll be able to see points of interest and have access to travel guides and Wikipedia articles.